Google is planning to invest roughly $1 billion in SpaceX to promote satellite Internet development. The SpaceX Falcon 9 rocket launching in September 2014. Google and Fidelity are investing $1 billion in SpaceX. But according to The Information and the Wall Street Journal, the money won’t be for rockets. Instead it will be aimed at supporting development of satellites that could provide Internet to remote parts of the world. Last week SpaceX CEO Elon Musk announced a plan that would use satellites to provide high-speed Internet on Earth. 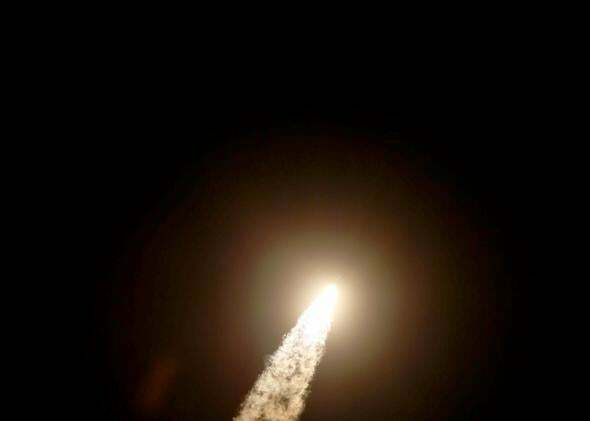 He told Bloomberg Businessweek, “Our focus is on creating a global communications system that would be larger than anything that has been talked about to date.” Sources confirmed to the Journal that SpaceX has been considering an expansion into satellites for months now. A $1 billion investment from Google would bring SpaceX’s valuation to more than $10 billion. Musk estimates that the satellite Internet network that he—and apparently Google—is envisioning would cost about $10 billion over time to build. Though Google and SpaceX are influential tech companies, it’s not a given that the project will work. Engineering the right transmitters and receivers and installing antennas on the ground will all take time and money. But when (and if) it launches, Musk thinks the network would be a big revenue generator “for SpaceX to be able to fund a city on Mars.” Basically, this whole plan is borderline absurd and that’s the point.